Today during the Steam Business Update at this week's Game Developers Conference, Valve Software announced a few changes to Steam. 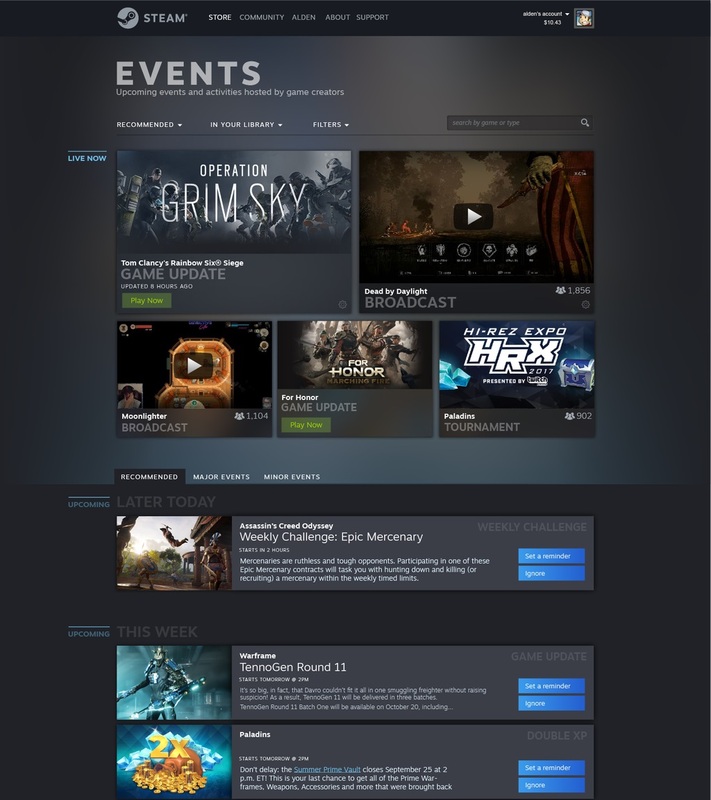 With the launch of the Epic Games Store and many high-profile games moving to that platform, Valve is looking to offer more improvements to Steam. Developers have previously listed problems like discoverability issues, content moderation and curation, as well as Valve's stringent revenue share as issues, but the changes announced today are focused on Steam's user interface. "We came here today to talk about how we think about Steam and what motivates us," said Valve Steam Business spokesperson Tom Giardino, according to a report by Variety. "We want to be more transparent about our priorities and principals, and announce new tools." The first change addresses the Steam client library, which hasn't changed for a very long time. The new design surfaces your recently-played games, followed by recent title updates, and then the rest of your gaming collection. It also shows off your friends list, so you can see which games they're playing immediately. 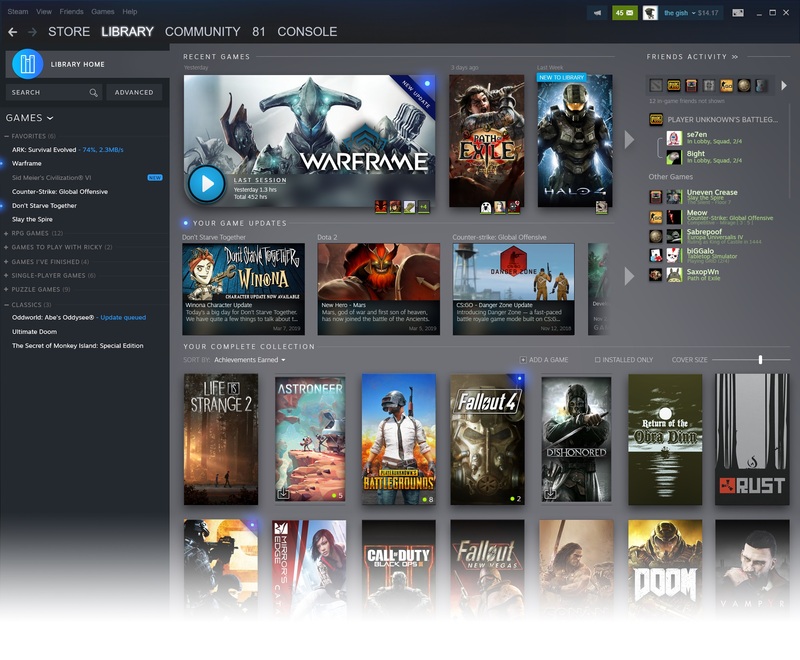 Valve is also adding customized filters, so players can quickly sort their Steam library. Within the library, game pages are also receiving a visual update. They'll now include information about recent events and updates, activity in your friends list, screenshots, and even Steam Workshop items. The second change is all about the new Events tab, which builds upon the game update section of the library. In this view, players can see recent title updates, special events, and streams for all the games in their library. Valve is touting this as the place where developers and publishers can connect with their community. Clicking an event item will take players to pages that act as blog posts, with detailed information, images, and links to outside content. Developers retain full control over the update posts. Your events page will be determined by games you own and games you follow, though you can hide ones that don't interest you. Players also have the ability to mark event items and set reminders. These reminders can come in the form of steam client notifications, calendar items in Google and iCal, emails, or text message. The new library look should be entering beta this summer, according to a report by PCGamer. Valve is hoping to have an open beta of the new events system within the next couple of months.